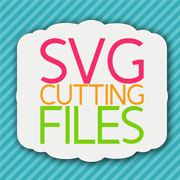 This week the SVG Cutting files store released some new card sketches. 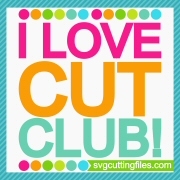 I love all the card sketches from SVG Cutting files. 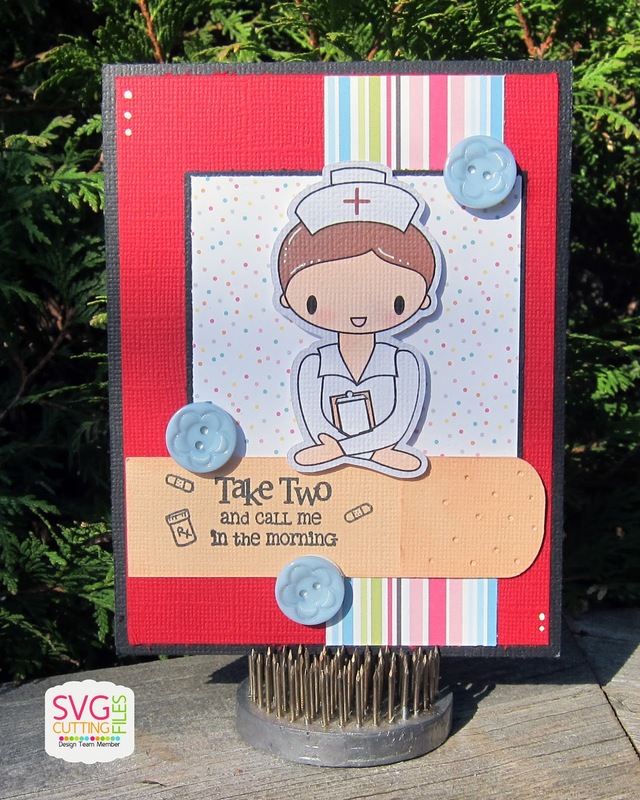 It makes it easy to makes cards quickly when the design is all done for you. All you have to do is embellish them. My card today is using the card sketch 81. I used some beige paper for the one section to resemble a band aide for this get well card. I replaced the circle die cuts with buttons. Sentiment is from the Jaded Blossom Get well Soon stamp set. 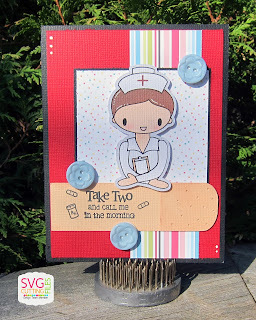 Nurse image is from a digital image over at DigiMy World.